It's safe to say that mostly every website out today owes a great deal to blogger Perez Hilton. At a time when the internet was still at its infancy, way before MySpace and Twitter, his site PerezHilton.com was writing about what eveybody loves - gossip. His site spawned thousands of copycat sites and, it's safe to say, has transformed the internet to what it is today. But other than the latest celebrity gossip that Perez is known for, he has also been at the forefront of discovering the next big thing in music. Hilton's passion for music has lead him to creat the hugely successful musical event series "One Night In..." which features up-and-coming and top musical atcs in the industry. This night on the red carpet, before heading inside to celebrate his 10th anniversary, he told us that music is his passion and that his latest obsession and future star is Canadian pop-singer Kiesza who he featured last month at his annual "One Night In Los Angeles" musical event. 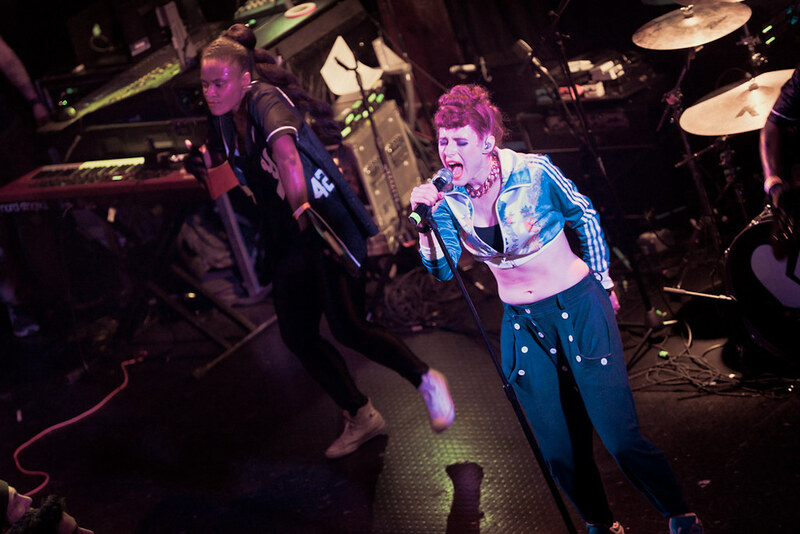 Kiesza performs at Perez Hilton's "One Night In Los Angeles."